Home / Contests • Featured / Contest Time! It’s March Movie Madness On Comet TV! Win An Awesome Prize Pack From The Classic Sci-Fi Network! Contest Time! 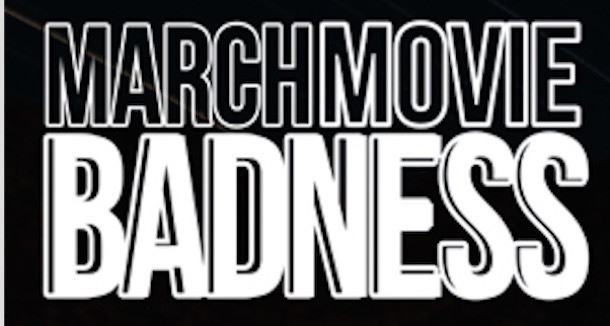 It’s March Movie Madness On Comet TV! Win An Awesome Prize Pack From The Classic Sci-Fi Network! It’s March Movie Bad… Bad… Badness only on COMET TV! Whether you love the 1980’s classics like The Amityville Horror or prefer your March marathon with a side of cult-tactic goodness like Troll 2 or Planet of the Vampires, COMET TV has you covered! COMET, the newest & obviously coolest Sci-Fi Network has been showing the best in fun cult classic films and television shows! If you haven’t checked it out, you’re missing all the fun! I’m telling you, COMET TV is amazing. I know you’re going to find something you’ll love! 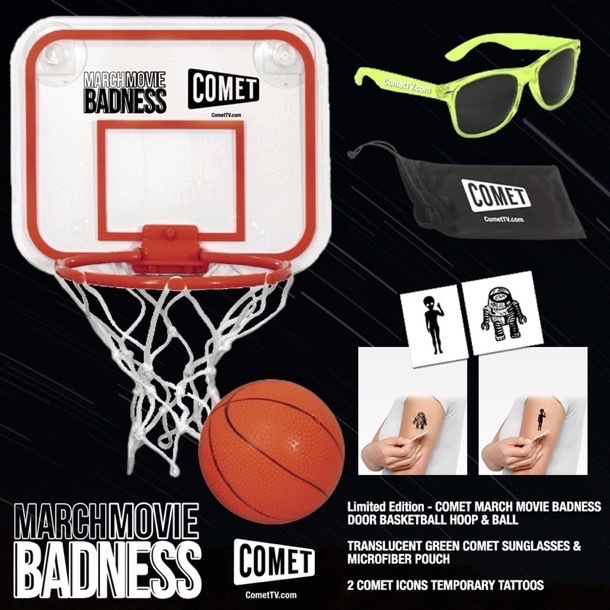 And because it’s March Movie Badness, Comet TV wants to give one lucky reader an awesome prize pack! Wha? I know! Awesome right! Throughout the month of March, COMET is bringing you B movies on their A game. We’re dedicating an entire month to the best of the best, or in many cases, the best of the worst! This is March Movie Badness. – 16 of the strangest, most cult-tastic, and most joyously weird movies ever made. A Limited Edition COMET TV Door Basketball Hoop & Ball– This amazing limited edition door basketball hoop is perfect for all ages. It’s clearly a SLAM DUNK! One Pair of Alien Green Sunglasses– Because you’re bad… Bad to the Bone! Celebrate the Badness within you and put on these translucent shades, I heard you can even wear them at night, so you can… So you can see. Plus wait for it… They have their own pouch to keep your shades safe and snuggly. Two Comet Temporary Tattoos– Nothing says Badness like Tats! Show off your Comet TV love and express yourself! It’s okay, they wash-off but we won’t tell. Contest Time! Win Everest Starring Jake Gyllenhaal On Blu-ray! Catch The Death Defying Action Out Now! I’m looking forward to Dracula VS. Frankenstein (1971)! Troll 2. I’ve probably seen it a dozen times, along with ‘The Best Worst Movie’ documentary about it. I’m looking forward to troll 2. I was in love with that movie!